Our Fall Cleanup was a great success!!! Thanks to DC Fabrication in Paradise for running our fund raiser! Hope to see you out on the trail and keep the roof off the rocks! Please check out our accomplishments from the 2015 Fall Cleanup by clicking Here. There was a lot of work done thanks to all of you who showed up to help out. You can check out our latest Board minutes by clicking Here. On 9/16/15 Lassen National Forest had a public open house to gather public input about possible changes in the High Lakes area. The proposed changes will be open for public comment after January 1, 2016. We will keep you informed on when and how to send your comments to the proposed changes as soon as possible. For those who didn't make it out to the meeting and would like to express their concerns about changes to the High Lakes, they can send proposals to Kathleen Nelson or Blair Halbrooks at P.O. Box 767, Chester, CA, 96020 or call 530-258-2141. Click here to view a copy of the proposed reroutes. Friends of The High Lakes is a grass-roots organization comprised of individuals, local businesses, recreational clubs, and user groups who love to recreate in The High Lakes Area in the Lassen National Forest. Friends is comprised of a growing number of outdoor recreationalists, who consider themselves to be environmentalists and conservationists rather than preservationists. We believe that public lands should be FOR the people to use and enjoy. That includes the pursuit of whatever activities people choose, such as fishing, camping, hiking, exploring, picnicking, hunting, rock hounding, geocaching, etc. while using a motorized vehicle. We need to get involved to assure that these lands remain open for our use. This is the vehicle to bring together those who responsibly use the land and wish to improve recreational opportunities through support and volunteerism while caring for the environment. You Bring It In, You Take It Home - That includes all garbage including human waste. As our welcome sign says, "This is God's country. Please don't leave it looking like Hell"
Do Your Part - Try to leave the area better than when you found it. Carry a trash bag and pick up an extra can or two. The Ring Of Fire - Camp in designated areas and build campfires in established rings, leave nothing but wet ashes. Stay On The Road - If a downed tree blocks the route, just take a few minutes to cut or move it. A workaround gets you past it once. A closed route can last for years. Share - Ideas, opportunities, the trail, the area, parts, tools, expertise, your time and your fun. We are the Public - but not the only part of the Public. This area is open to everyone - thank goodness! Education First, Then Enforcement - Both are important. Have a great time. Respect the laws. Meadows and Rock Gardens are not playgrounds. Work, Together - The best solutions come when neither users nor land mangers work in isolation. Both need to find opportunities to communicate and cooperate. When there's work to do, all the Friends need to come to the party. As a 501(c)(3) Corporation, The Friends of The High Lakes cannot: endorse or oppose any political candidates, donate or contribute to any political candidate's campaign, participate or engage in political fundraising events, distribute statements for or against particular political candidates, nor engage in any other activity that may constitute favoring or opposing a political candidate. 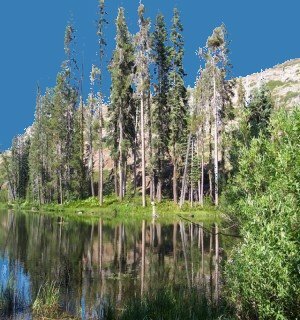 Welcome to the Portal for folks who enjoy motorized recreation in The High Lakes OHV area of Lassen National Forest. Within this site you will find information about the area including the current status of the issues facing the users due to plans and action of the USFS; You'll find route maps and history. You'll discover what is open, and what is closed and why. You will also find information on the status of the Route Designation Process,(which every National Forest in the US is going through) in the Lassen NF, more specifically The High Lakes Area, and what that means for motorized recreation. Our goal is preserving our natural resources FOR the public, instead of FROM the public. This site will grow as this process proceeds. We hope you find it interesting enough to participate in the process, as user input to the USFS is vital to our ability to continue to enjoy the area. Grab a favorite beverage and spend some time wandering around this site. - Then, get involved by getting on the email tree! We are an approved tax-free 501(c)(3) Public Benefit Corporation. EIN is 26-0896788.